There was a time when Rome ruled everything, and it’s something that Lorenzo “Jovanotti” Cherubini, like a good Italian, has not forgotten. He likes to boast about it, still. “Being from Rome means I’m comfortable everywhere, it’s the origin of humanity,” he says, sitting onstage at the Grammy Museum for his an intimate concert event called “Spotlight: Jovanotti,” the last stop on the first leg of his U.S. tour, during which he’ll delight the mostly Italian and Italian American crowd with anecdotes of how he came to be where he is and acoustic renditions of his greatest hits. To call him a rapper is to shortchange him. Jovanotti is a wordsmith, and lately, his aim is to humbly introduce himself and his music to the United States, for those who may not know him. And outside of the Italian American community – and a few Latinos like myself – that’s most people. So in New York, the city he and his wife and daughter have called home since August, he’s enjoying something he says he had been craving for years: near anonymity. Back home, though, Jovanotti enjoys superstar status, with a career spanning 25 years, over 5 million units sold, and an Italian chart record of eight No. 1 albums and ten No. 1 singles. It’s what’s been able to afford him his 800-year-old villa in the town of Cortona, a little town in Tuscany by a lake, where only 1,000 people live and everybody knows each other. You know, like something out of Under The Tuscan Sun. For someone who has lived all of his life – 46 years – in Italy, Jovanotti’s English is impressive, even if he dismisses it as “Macaroni English.” Then again, the accent has its charm, and so does the exaggerated use of his hands while speaking. One of the first anecdotes he’ll share tonight is how, on his way to the Grammy Museum, he rode in a taxi driven by a Russian man named Vladimir, who was blasting Pavarotti. “I told him that man [Pavarotti] was my friend,” he says, and then goes on to describe how surreal it felt to look up at the palm trees and make his way to the same place where they hang Michael Jackson’s jackets and Whitney Houston’s gowns. “I almost cried,” he says, in a rare moment of seriousness. Later, when moderator Scott Goldman of Los Angeles Foundations asks him if he thinks U.S. audiences will be open to his music, Jovanotti will (convincingly) argue that many of history’s most important Italian operas have successfully been produced in America countless times for centuries. “So it’s not a question of language, it’s just a question of good music,” he says. Jovanotti then shouts out Hollywood director Gabriele Muccino (Pursuit of Happyness, Playing For Keeps), who’s sitting in the front row in a show of support for his old friend and fellow proud Italian. Before his Grammy Museum concert, Jovanotti sat down with me for a one-on-one interview. He looks older than I remember him on the album cover of Lorenzo 1994, the same album that Rolling Stone recently named one of the greatest Italian albums of all time. Even on the other side of the world, in Ecuador, Jovanotti was making waves. The album was huge in Latin America. I still can recite by heart the words to “Serenata Rap”. He stands tall and oozes confidence, but there is no trace of arrogance. He’s intelligent and worldly, but also humanistic and compassionate. He’s successful, but never complacent. During our 40-some minutes, we talk about AIDS, world hunger, Europe’s financial crisis, rap beefs, his relationship to Cuba, his friendship with Juanes, his profound love for New York, fatherhood, the meaning of success, and the things he still dreams of achieving. But first I had to get something out of the way, and find out how a guy who spoke no English could become so enamored with hip-hop in the 80s that he took it upon himself to bring the art form to Italy. All it takes is one listen to his debut album, 1988’s Jovanotti For President, the cover of which shows him rocking a sideways baseball cap, to realize just how much he was influenced by the culture. 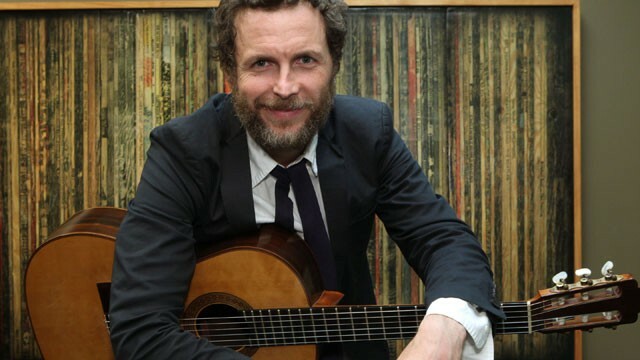 Since the 80s, Jovanotti transcended the rap genre and started experimenting with classical music, ska, funk, rock, folk, and Latin rhythms, collaborating with the likes of Sergio Mendes, Ben Harper, TV On The Radio, the Beastie Boys, and even Pavarotti. His latest album, Italia 1988 – 2012 on ATO Records, is not so much a greatest hits album as a compilation of Jovanotti’s most compelling work, including his first international hit, “Piove,” from 1994. But it’s not all nostalgia on the album. There’s also a new side to Jovanotti, which longtime fans will want to discover. “In New York, I found Rome, I found Milan, I found Par-eese/New York is made of Buenos Aires, Istanbul, and Ven-eese/Grandmaster Flash, Beastie Boys/I wanna wake up in the city with Frankie and his voice,” he sings on “New York For Life,” one of four new tracks on the album. By Frankie, he means Frank Sinatra, of course, someone who comes up more than once tonight as his favorite singer of all time and happens to be – surprise, surprise – Italian. “Most Italian artists, once they have success at home, they don’t go away to look for more success outside,” he says. “You feel like you’re a part of this large, super-family, you feel so connected and you become a sort of relative to the people. Sometimes I feel like I have 50 million cousins. To read the rest of this story, visit Fusion (ABC/Univision), where it was originally published.